The following is a who, when and where overview of the 2011 season. An asterisk (*) is placed after a person's name if they are a repeat visitor. The asterisk is red (*) if they are veterans of three or more trips with our organization. We are honored by the continued patronage of our guests and blessed with the continued help of our friends and staff. Staff for the week were Dave Jones, Molly Jones, Connor Caldwell and Isaac Fritz. Pat Steed stayed on from the week prior. 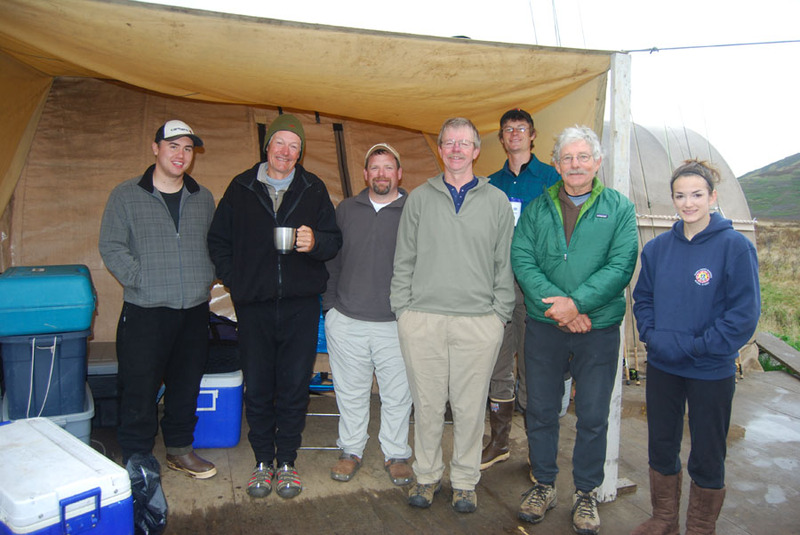 John (above left) joined him during this week. Staff for the Job were Shawn Finn, Fru Finn, Mickey Jones and Isaac Fritz. 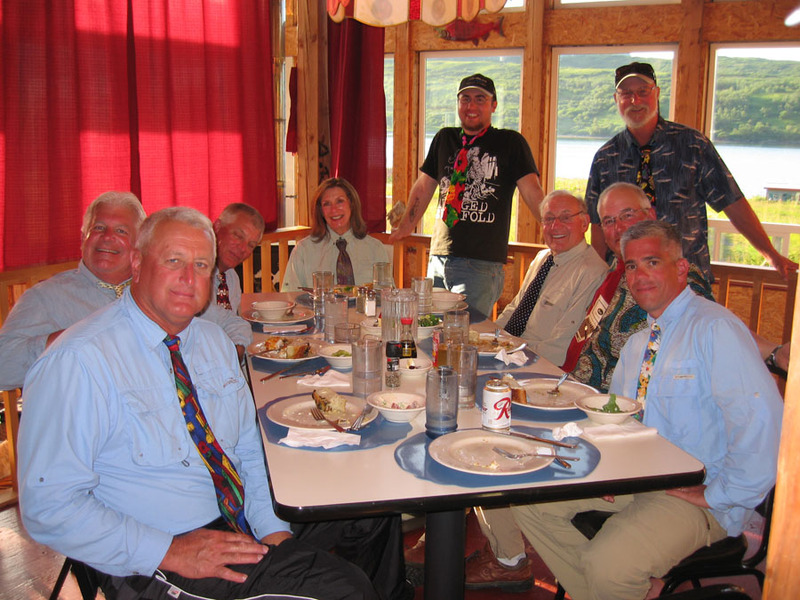 Staff for the week were: Shawn Finn, Fru Finn, Dave Jones, Mickey Jones and Isaac Fritz. 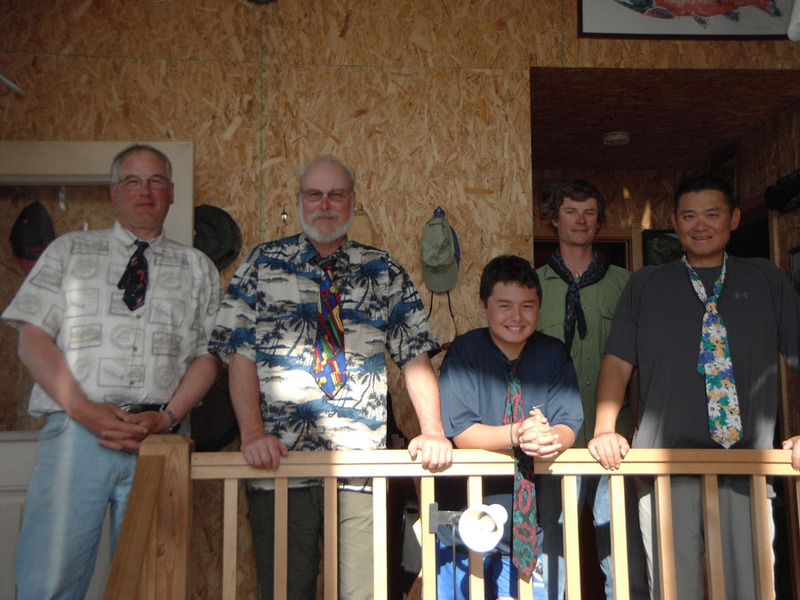 Staff for the week were Shawn Finn, Dave Jones, Molly Jones, Mickey Jones, Connor Caldwell and Isaac Fritz. Staff for the trip were Shawn Finn, Fru Finn, Mickey Jones and Isaac Fritz. Staff for the trip were: Dave Jones, Molly Jones, Mickey Jones, Connor Caldwell and Isaac Fritz. Staff for the trip were: Dave Jones, Shawn Finn, Amy Finn, Deb Christensen, Connor Caldwell and Isaac Fritz. Staff for the trip was: Isaac. Staff for the week were: Dave Jones, Shawn Finn, Amy Finn, Deb Christensen, Connor Caldwell and Isaac Fritz. Staff for the week were: Dave Jones, Carole Velez, Deb Christensen, Connor Caldwell and Isaac Fritz. Staff for the trip were: Dave Jones, Carole Velez, Deb Christensen, Connor Caldwell and Isaac Fritz. 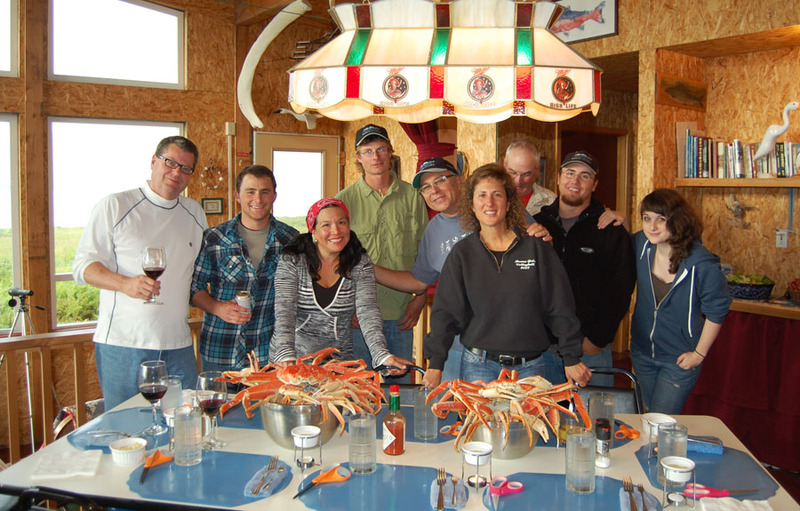 Jeff * and Angie Johnson - Kodiak, AK / Mike McKinstry and Evelyn Fuchser - ??????? Staff for the week were: Shawn Finn, Amy Finn and Craig "Ole" Olson. 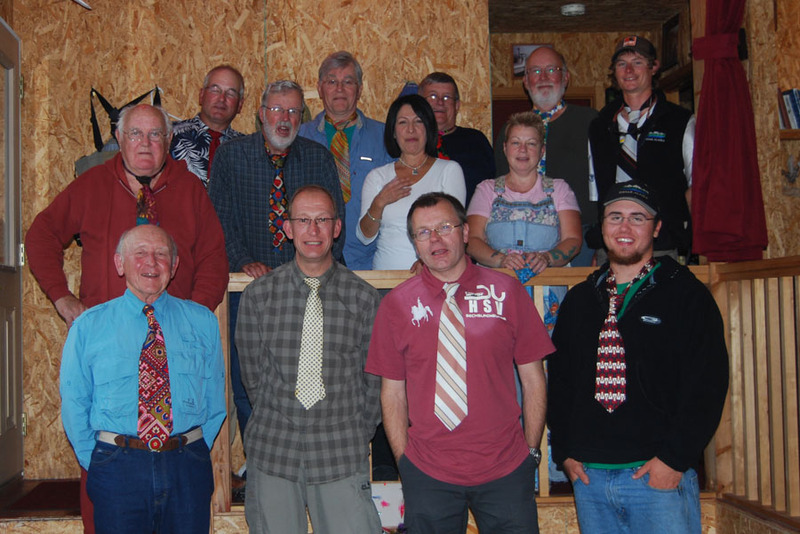 Staff for the week were: Shawn Finn, and Craig "Ole" Olson / Dave Jones, Deb Christensen and Isaac Fritz. Staff for the week were: Dave Jones, Deb Christensen and Isaac Fritz. Staff for the week were: Dave Jones and Isaac Fritz. 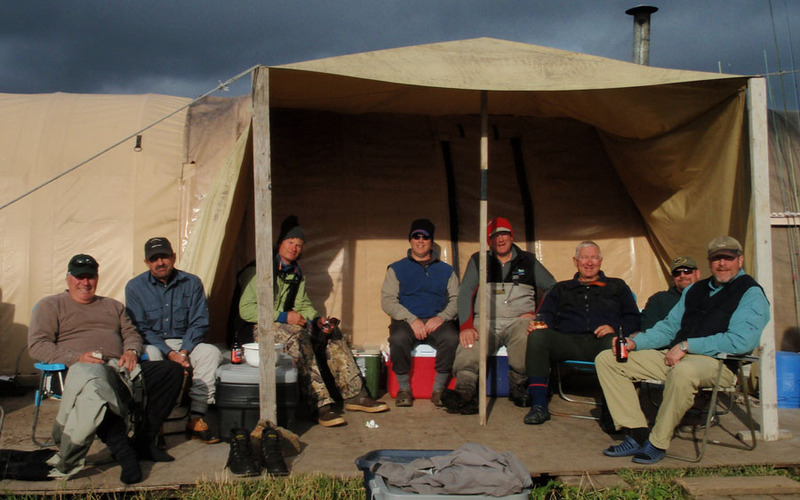 The season officially kicked off when the camp set-up crew flew into the Ayakulik on June 4, 2011. 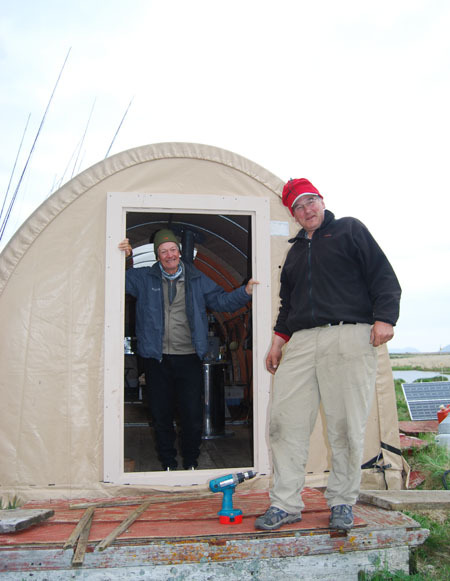 Above: Pat Steed and Dave install the new entry door for the main cook tent. The first, and only, door in camp that has no zipper! 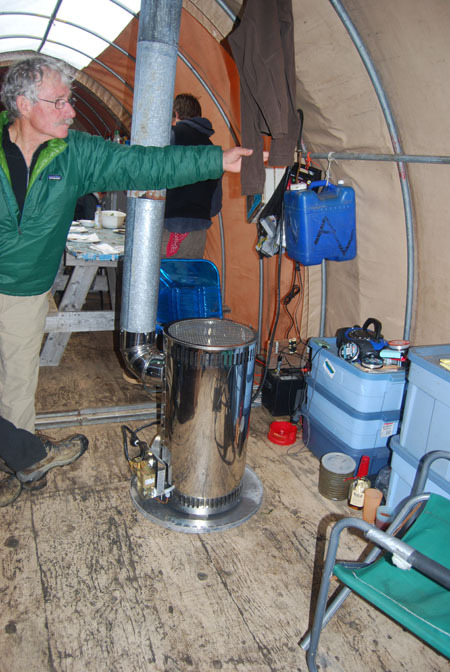 Right: Tim Longrich dries his sweater above the new camp oil stove. 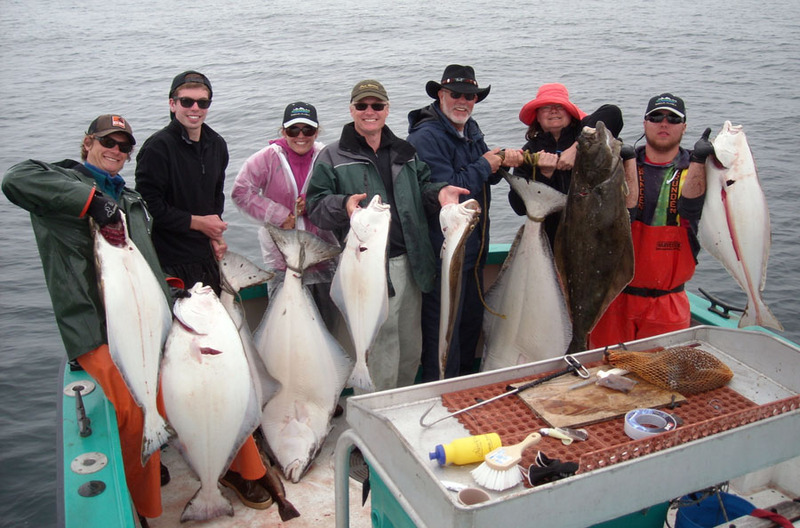 Above left: Tim Longrich is quite often the one who catches the first king of the season and 2011 was no exception. 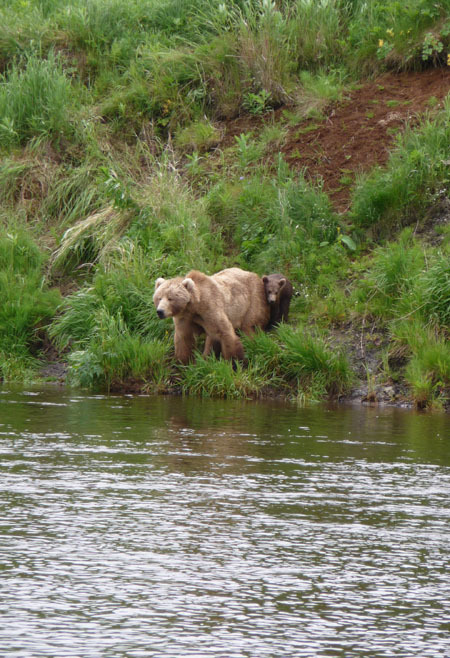 Above right: One of the nice things about fishing early June is the steelhead are still in the river. 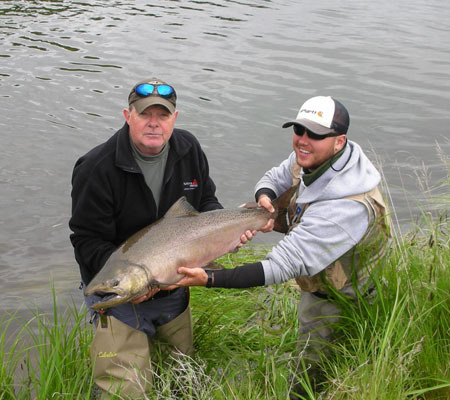 Brent Varriale displays his lifetime best steelhead. 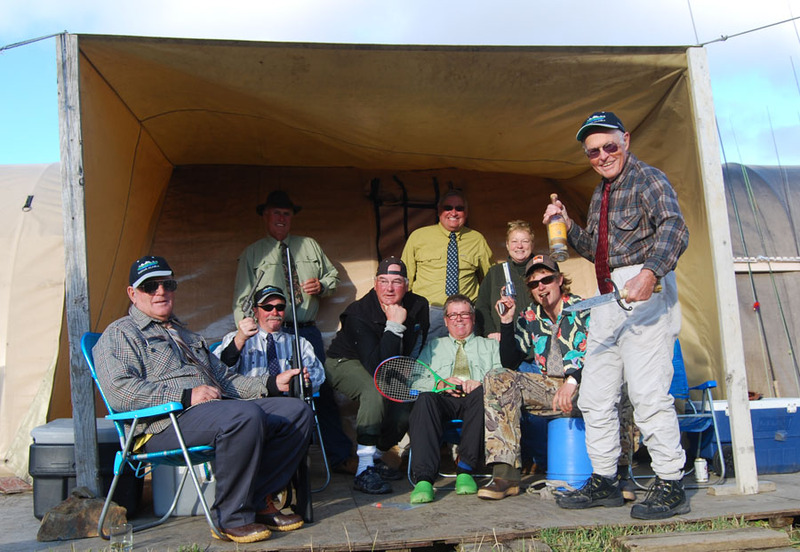 Left: Life in camp is not all fishing. 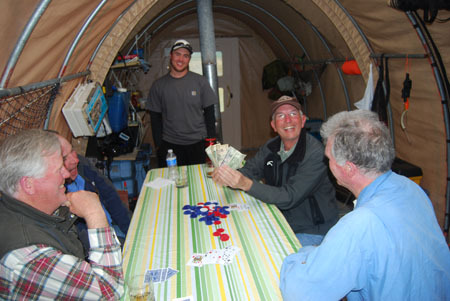 Tom Griffin comes out on top of a weekly poker game. 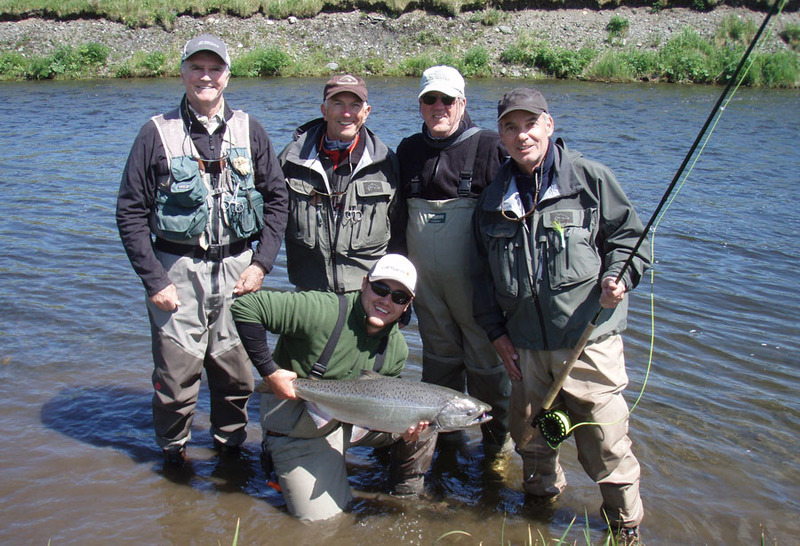 The biggest king caught at the camp in the 2011 season. 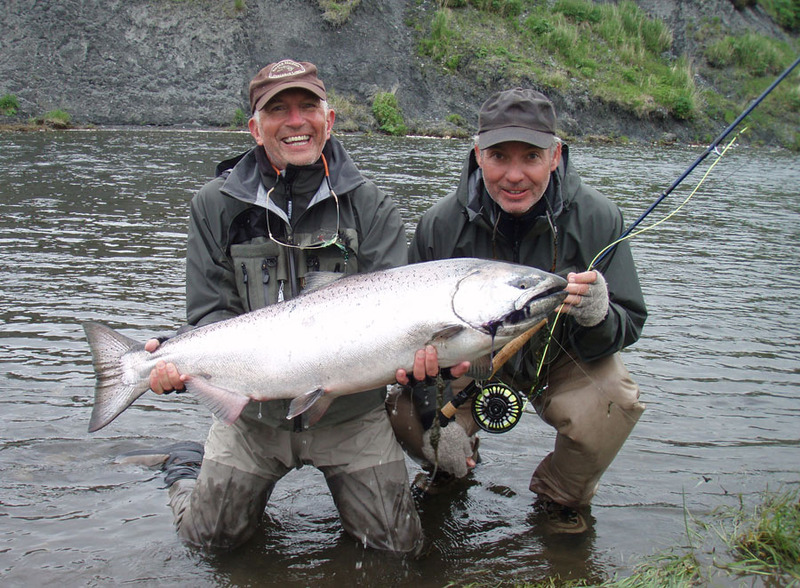 Tom Griffin (left) caught this beauty estimated at 35lbs. He is joined in the photo by his friend Jairus Stratton. 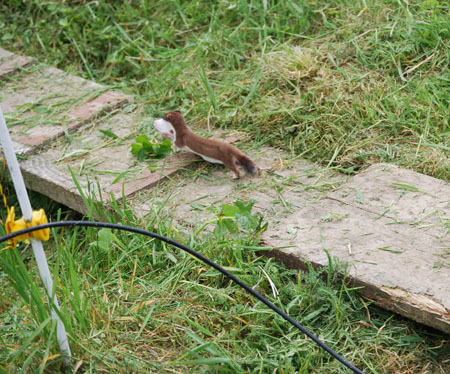 This is a story of a fishing rod. Its a 14 foot, 9 weight, Sage Spey rod. The rod was bought in the late 1990s, as a Christmas gift for Dave Jones, by his lovely wife Mickey. 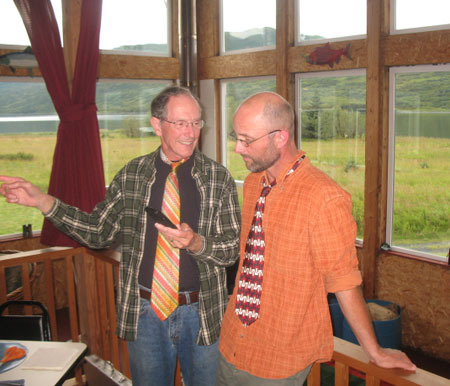 Mickey received direction in picking out the rod from Fritz Jorg, a long time client and friend. Fritz also provided a Charlton reel to match the rod. 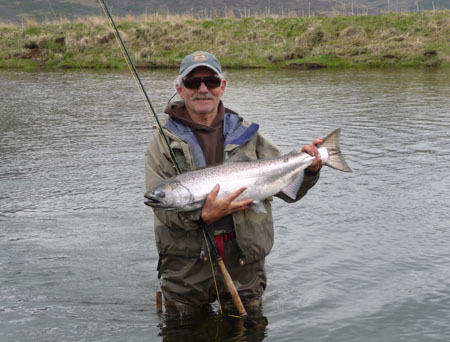 The rod and reel combo has been an inspiration to many beginning Spey fishermen over its 10 year plus career. 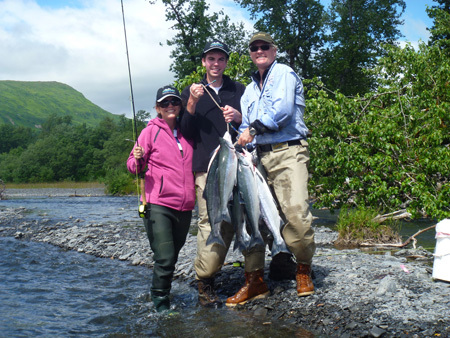 It has been the first Spey rod ever cast by many AlpenView clients and has resulted in the first king salmon or steelhead for many of them. 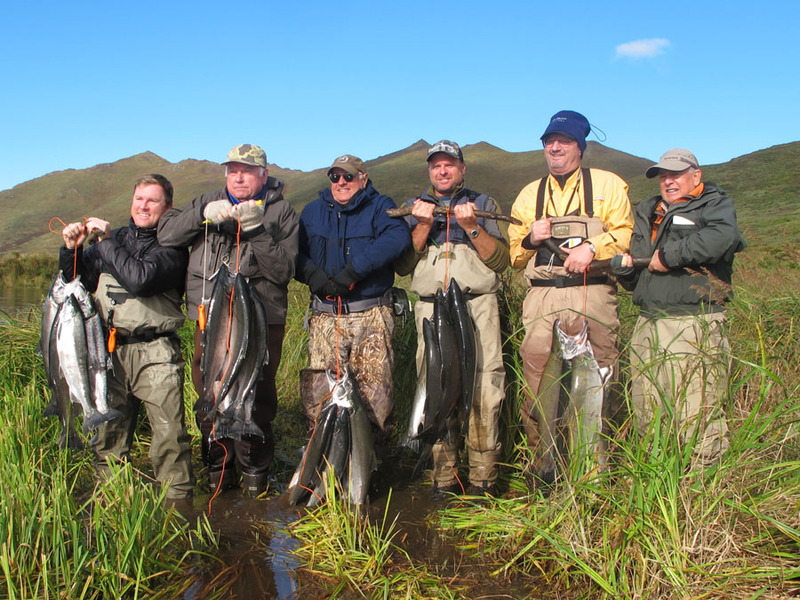 The rod is also loved by experienced Spey casters from around the world. 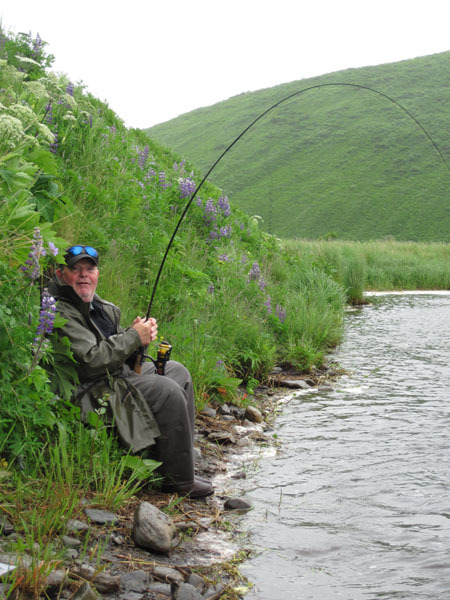 Often times its used when an experienced angler has broken a rod or not brought a Spey rod of their own. 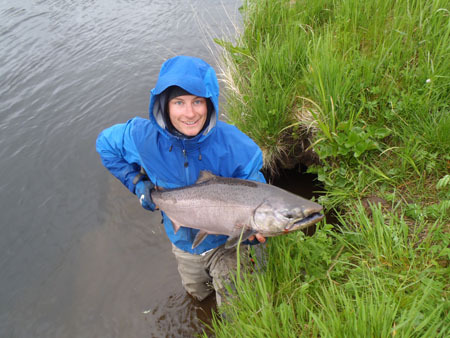 Once they get their hands on the rod, its often difficult to get it back. Considering the hours it has fished and many beginners who have fished the rod, it has held up remarkably well. The rod has been broken once, then quickly and beautifully repaired by Sage. 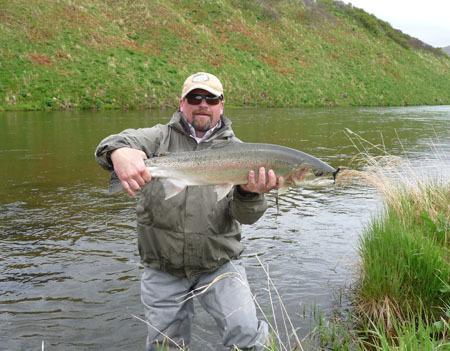 The Charlton reel has proven to be bullet proof in all kinds of conditions. 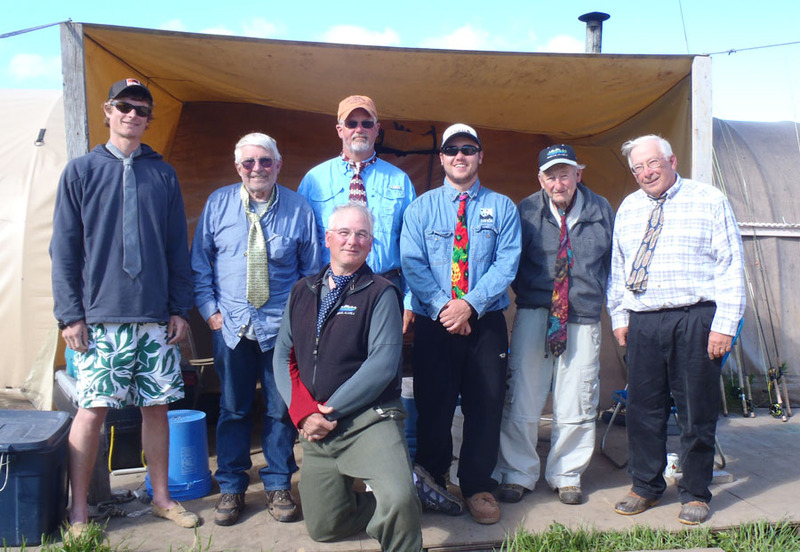 The rod is the first Spey rod fished by beginning angler Connor Caldwell (above left) and resulted in Connors first king salmon. 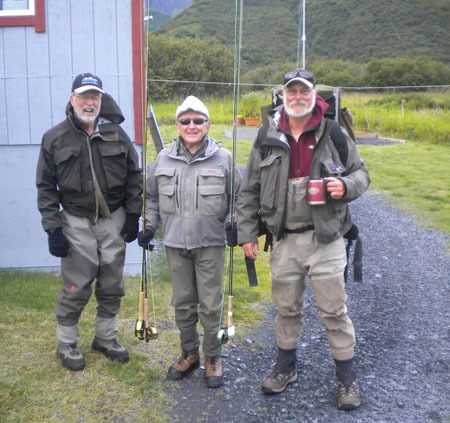 It was the first Spey rod fished by experienced anglers Alan Pirnique (above center) and Lloyd Luedecke (above right), who both had king salmon success. 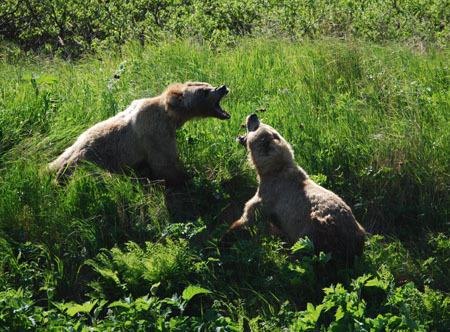 Molly Jones shots of a heated argument between two brown bear. Molly found herself a bit too close to this altercation and was extracted by being tossed on father Daves shoulder and waded across the river. Molly took the shots from Daves shoulder during the extraction! 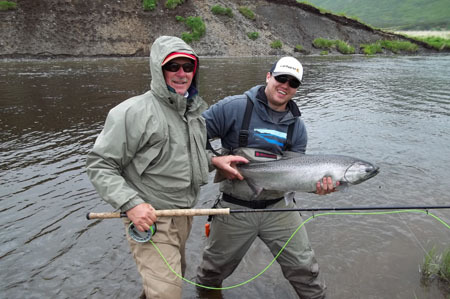 Isaac caught his first king on the fly during his work as a guide for AlpenView. 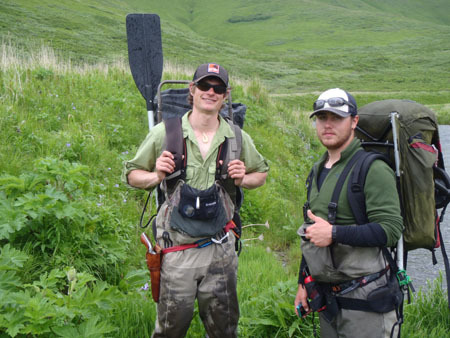 Isaac and Connor do a great job as first year guides for AlpenView. 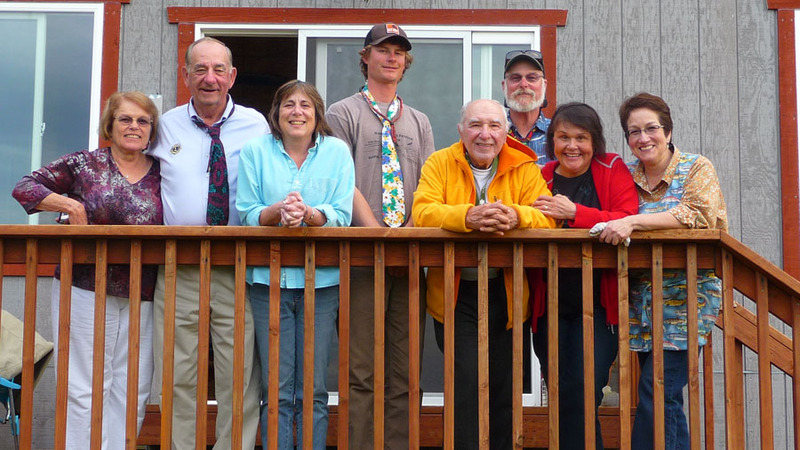 At left: Recently elected, AlpenView Wilderness Lodge, Inc., board members Fru Finn and Mickey Jones. 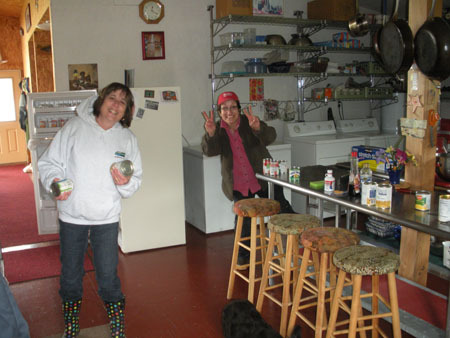 Fru and Mickey begin some of their duties as corporate officers by putting away groceries. 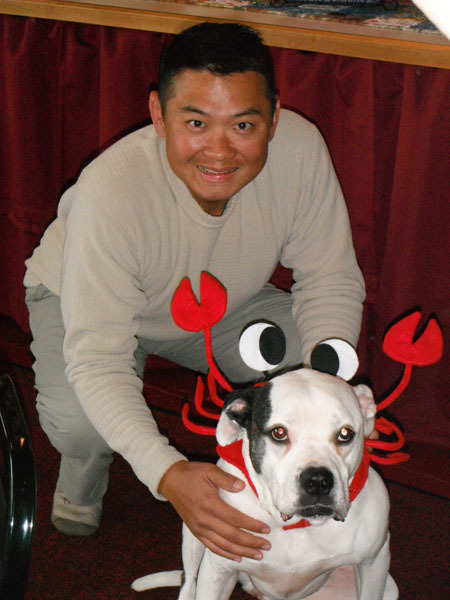 Like it is for the other officers, Shawn and Dave, an AlpenView board member has a blue collar position. 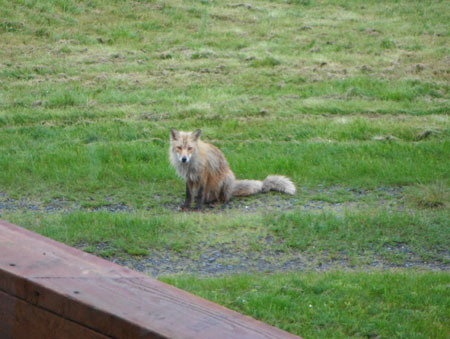 Unlike the short tailed weasel (above left) and the red fox (above), Vikoda the crab dog (below left) is not indigenous to Kodiak Island. 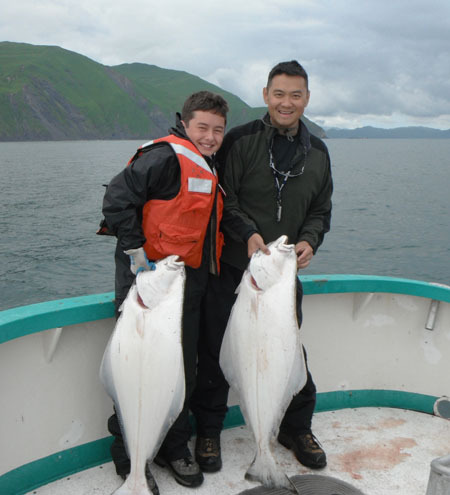 Below: Zachary and Joe Wong display the first halibut caught for the 2011 season. 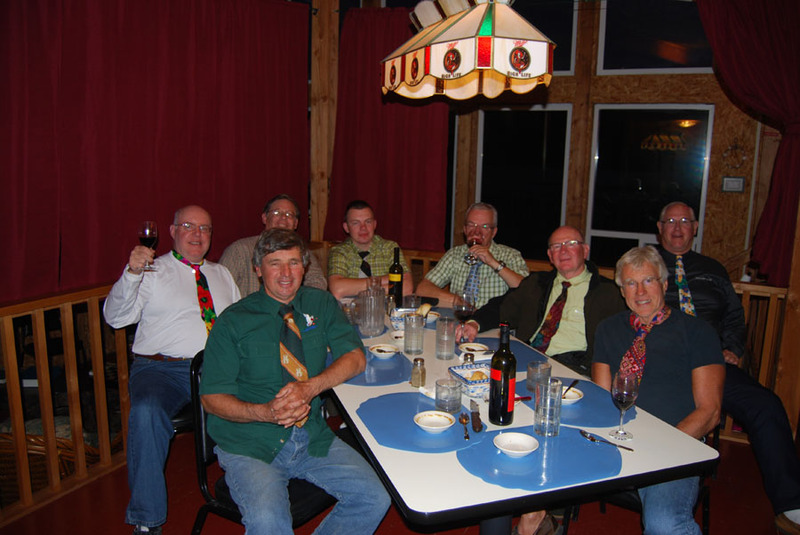 During early July AlpenViews lodge and camp run simultaneously. 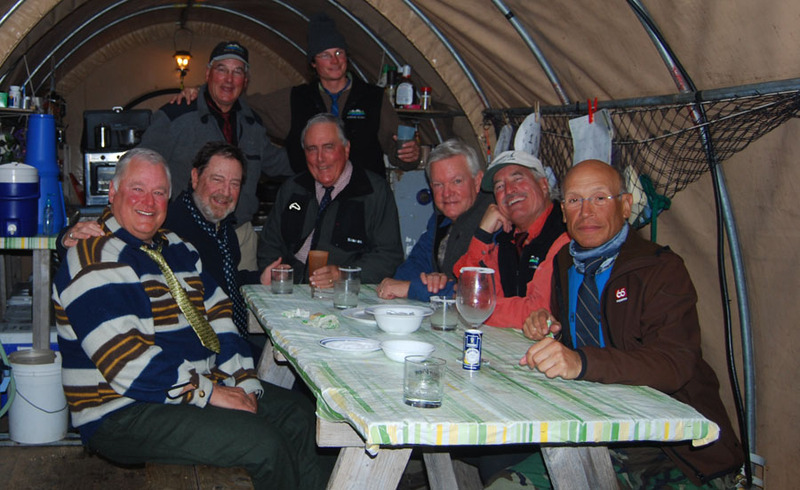 Captain Shawn ran the Finlander and lodge operations while Dave ran the camp. 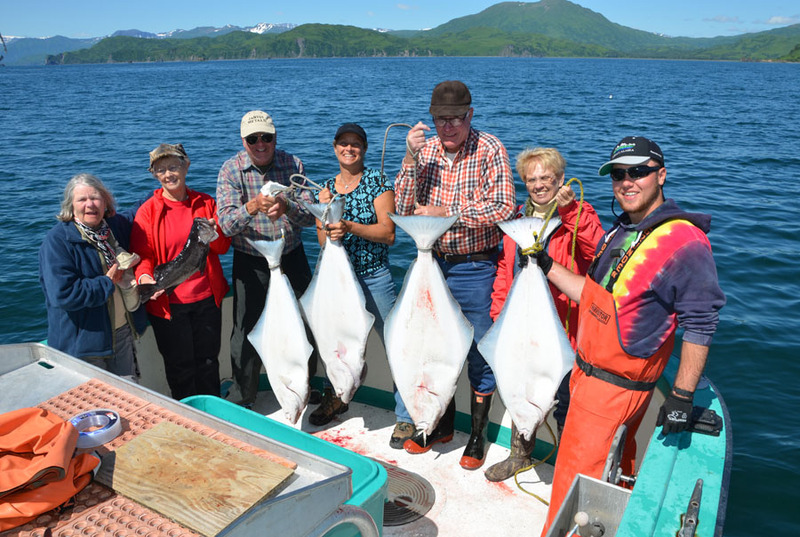 July 10 and 11, 2011, 124 king salmon landed in two days. Ed Boardwine (left and above) found the catch rate to be so strenuous that he often sat down during the fight to save strength. 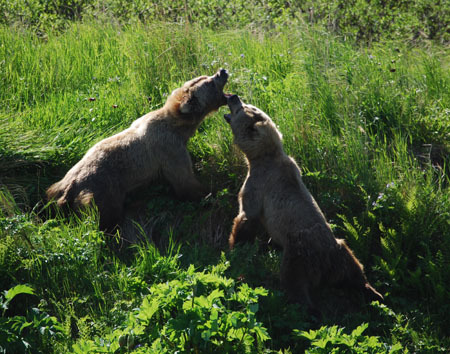 Left: Peter Shug got this cute shot of a mother and cub. 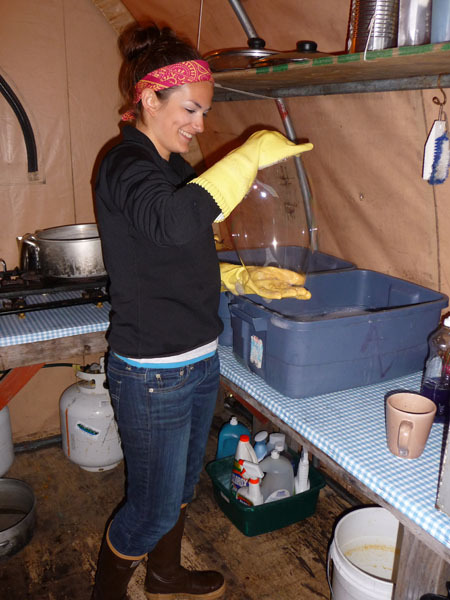 Below: Molly Jones makes work fun while cleaning up in the camp kitchen. 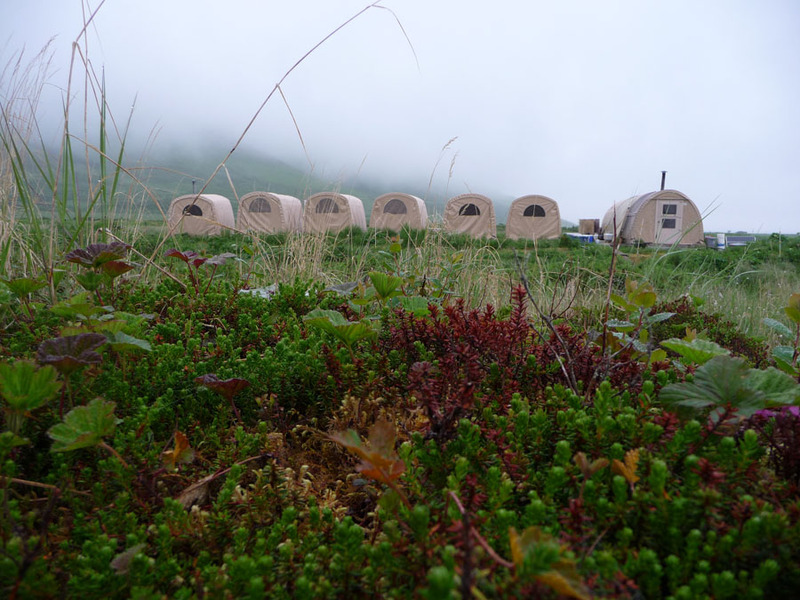 A view of camp from the tundra. 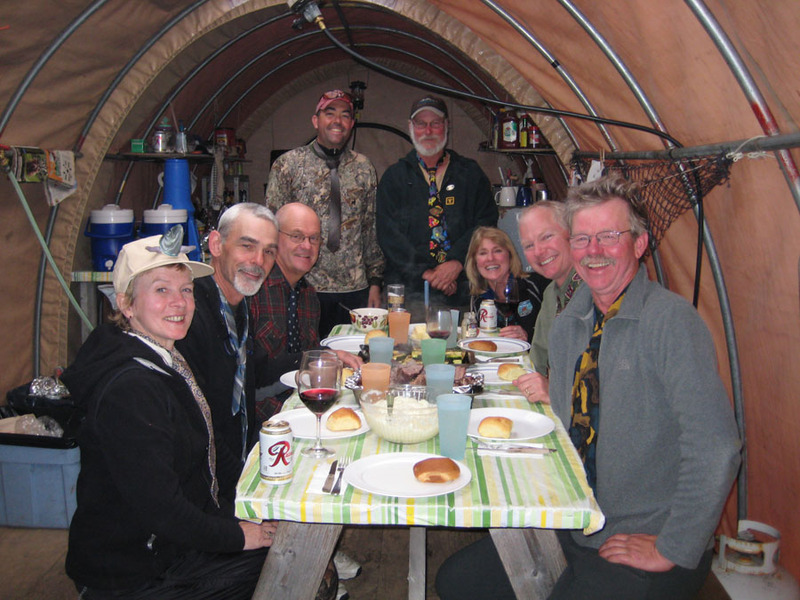 As the king/sockeye season at the camp winds down, clients and crew put up the jet boat for summer storage. 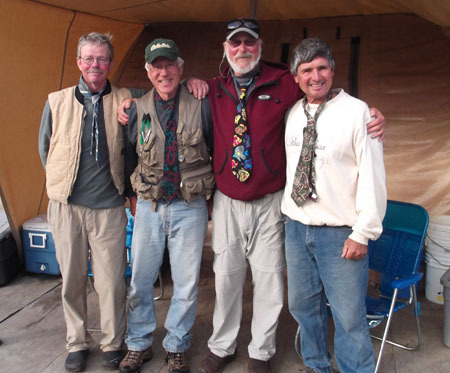 Ed was part of a group that split a trip between the camp and the lodge. 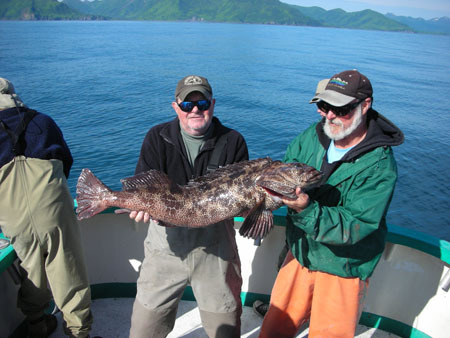 After freshwater fishing at the camp, he landed this nice lingcod while saltwater fishing at the lodge. 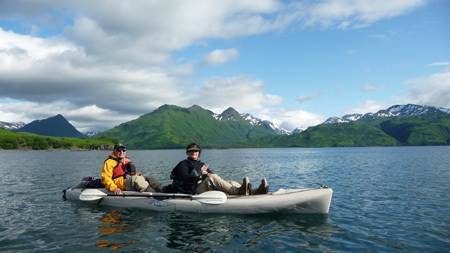 Sea kayaking is a popular activity at AlpenView. 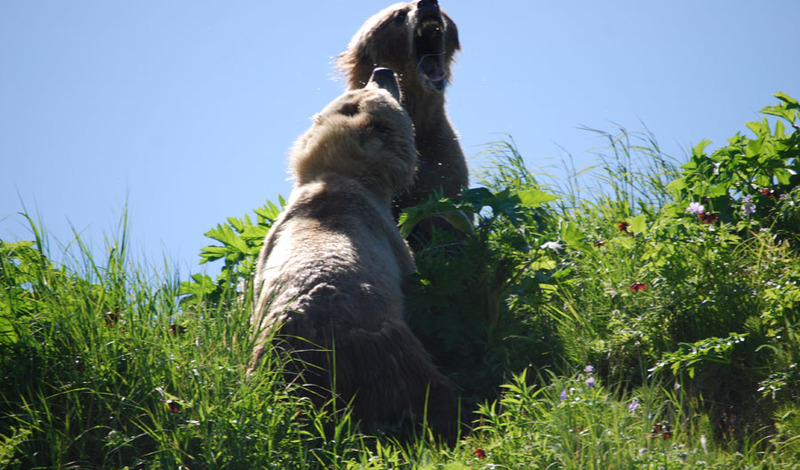 Above: Wil and Audrey Albert make their way toward Seal Island to do some wildlife viewing. 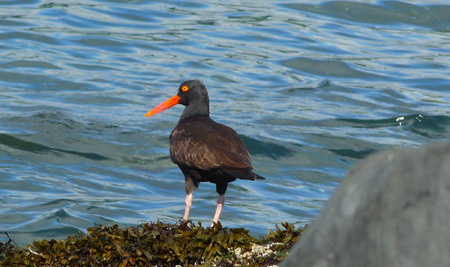 The orange beak and jet black body of the oyster catcher provides a striking contrast for wildlife photographers. 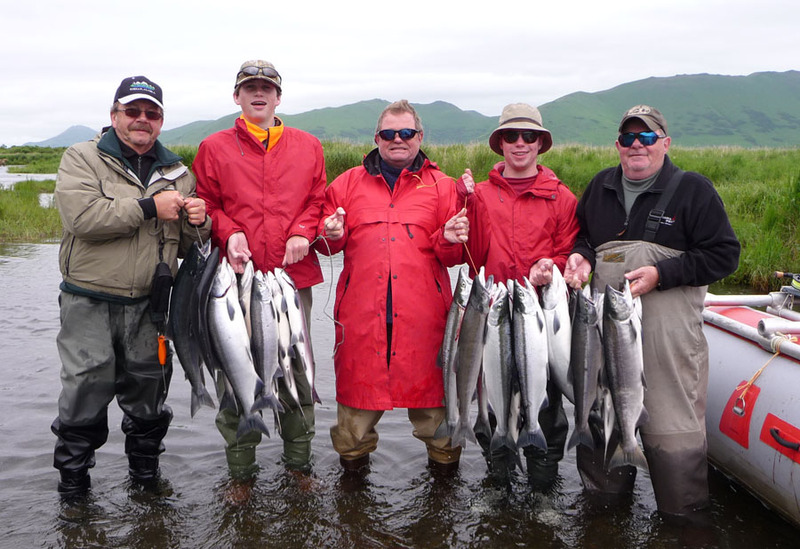 Freshwater sockeye fishing was hot in late July at the lodge. 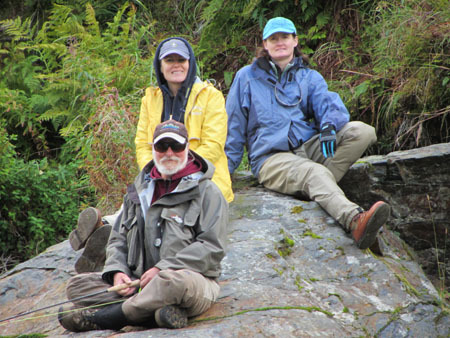 Above: Jill and Nathan Watson and Jeff Johnson display a nice catch of Sockeye from Saltry creek. 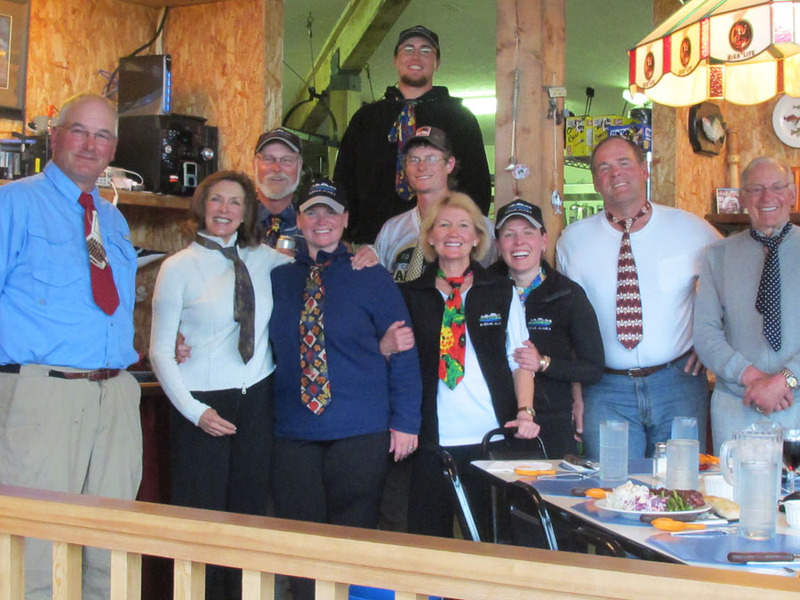 AlpenView is a family operation. 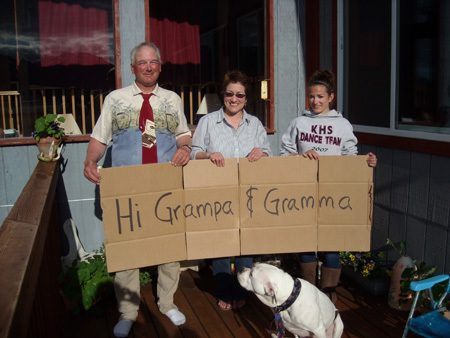 Above: Dave, Mickey and Molly Jones, AlpenView staff, send greetings to family in Washington state. Click to continue to page two of the 2011 review.